The DogSmith “Canine Rescue Resources” Program – Helping Dogs Become Family! Provide professional support and training to pet dog owners. 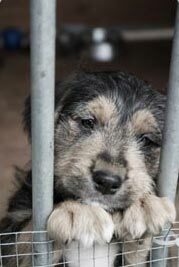 Support and assist humane societies, animal shelters and rescue organizations to minimize the number of unwanted animals. The DogSmith Canine Rescue Resource Program is a two tiered approach which provides support, education and assistance to animal rescue groups and offers educational seminars and discounted training services to animal adopters. We believe by doing this we help increase the adoptability of dogs and cats from a shelter environment, help reduce the number of animals that are returned back to the rescue organization and help prevent animals being surrendered in the first place. Behavioral Assessment Programs – helping rescue dogs find the correct home by accurately assessing their suitability for potential adopters. Volunteer expertise – DogSmiths volunteer time each month to help their local animal rescue group. Dog Handling Seminars – Support in educating shelter employees to purposely reduce unwanted dog behaviors during daily interactions and handling. Contact your Local DogSmith to discuss these programs by completing the application form below.